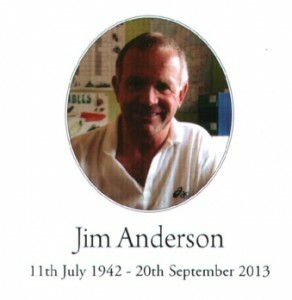 The interment of Jim Anderson’s ashes will take place on Saturday 21st December at 11am at Binning Memorial Wood. All friends are most welcome to come and join the family in a final farewell to Jim and, of course, his beloved dogs Katy and Rosie. This entry was posted in Announcements on December 3, 2013 by Admin.